The Bluebell Railway for many years (until 2006) took much pride in being the only 100% steam standard gauge railway in the UK. However, as the picture of Sentinel Rolls-RoyceThomas Hill 4-w Diesel-Hydraulic loco 10241 at Horsted Keynes (complete with fluffy dice in the cab) goes to show, this is no longer the case! Along with red Prairie Tank L.150 and 56xx 5643 the diesel locomotives are mainly all on loan to the railway and were key in reducing the railway’s operating costs to help re-build the railway’s northern extension. 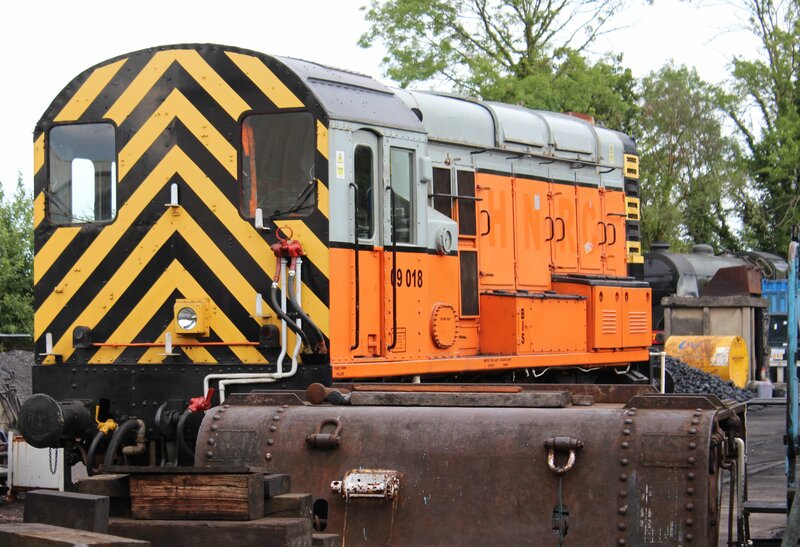 The class 09 diesel shunter (below) was purchased by a consortium of the line’s Locomotive Department members. If you are wondering the difference between a class 08 and 09, it is in their gearing. Essentially, the class 08 has a greater tractive effort, but the 09 are faster top speed of 27.5MPH. 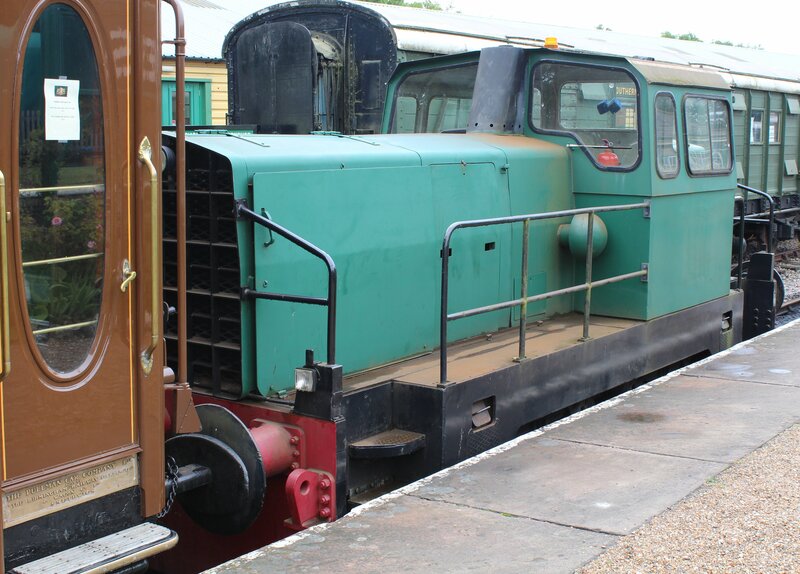 Although arguably not as glamorous as steam locomotives, diesel traction has quite a following and the Bluebell Line’s introduction of Diesels has largely been welcomed by railway enthusiasts. 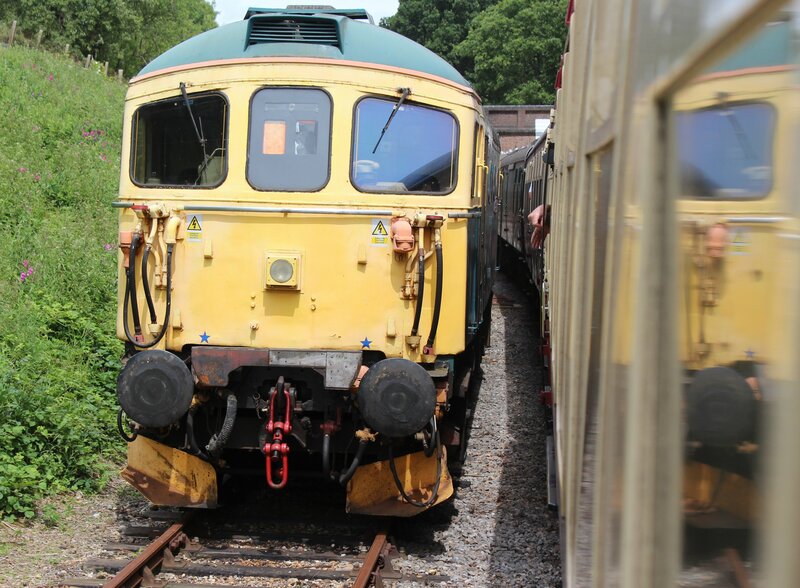 Indeed, the line had its first ever diesel gala this year! Don’t forget to support the “Keep Up the Pressure” appeal (please click here to read more) to help the line get its own fleet of steam engines back into action again. To read more about my visit to the Bluebell Line click here. 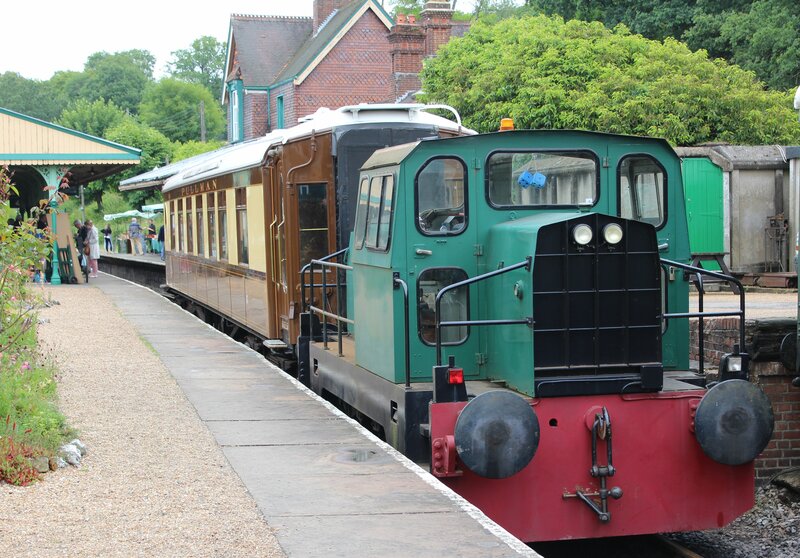 23/07/2014 in Bluebell Railway, Real Locomotives.